Terrorist attacks perpetrated by lone actors have already occurred in several countries, and this phenomenon is emerging as a threat to the security of both NATO members and other countries worldwide. In this context, a lone actor, or 'lone wolf’, is someone who individually prepares or commits violent acts in support of an ideology, group or movement, but who is acting outside of the command structure and without the assistance of any group. Up to now, these individual acts have been seen as almost impossible to forecast, but it is nevertheless important to develop a responsible security policy which takes them into account and incorporates planning for counteraction, prevention and response. 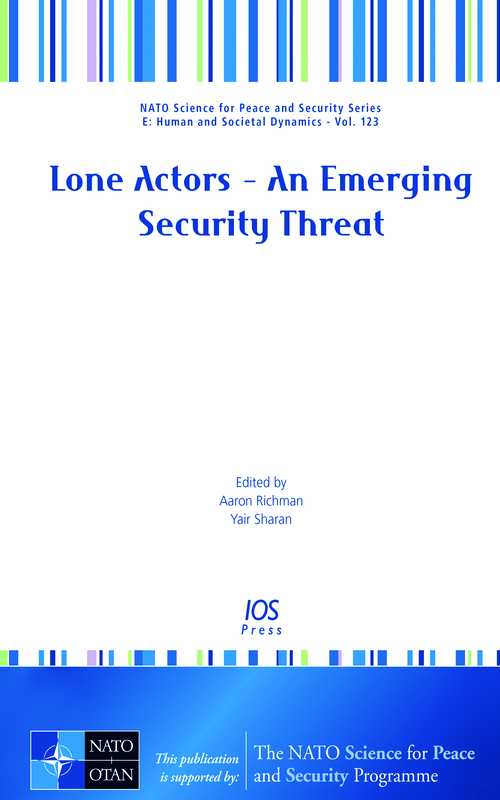 This book presents papers, written by leading experts in the field, which reflect the subjects presented at the workshop 'Loan Actors – An Emerging Security Threat', part of the NATO Science for Peace and Security Programme, held in Jerusalem in November 2014. The papers are divided into five sections: the threat of lone actor terrorism; case studies; countering and responding to the threat; legal and ethical aspects; and foresight and policy aspects. The insights, information and recommendations shared in this book will be of interest to all those involved in developing a more efficient response policy to this emerging threat.